Nisga’a Memorial Lava Bed Park and Nisga’a Memorial Lava Bed Corridor and Nisga’a Memorial Lava Bed Protected Areas (a.k.a. 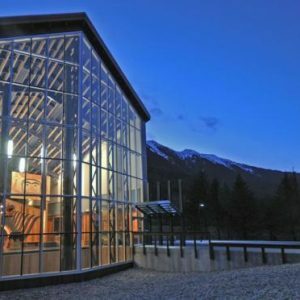 Anhluut’ukwsim Laxmihl Angwinga’asanskwhl Nisga’a) is located 90 kilometres north of the community of Terrace, British Columbia, Canada. 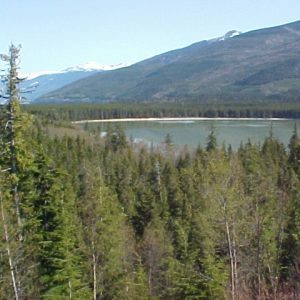 The park can be viewed and explored by vehicle and by hiking trail. 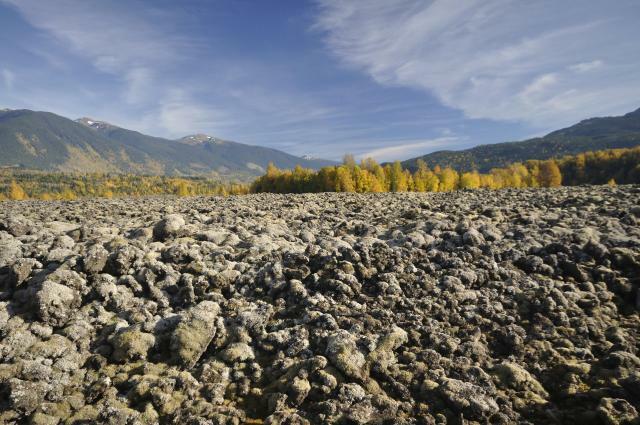 The Nisga’a Memorial Lava Bed Park lava eruption covered over 18,000 hectares and included a 10 kilometre lava flow. The lava flow followed a creek bed into Lava Lake and then continuing down the Kii Sii Aks River to the Nass River bed. Here, at the Nass River, the lava pooled and cooled forming a 10 kilometre long and 3 kilometre wide lava plain pushing the Nass River north. This site does not offer any accessible amenities. Viewing of the sites at this park are not at a specific spot. The lakeside areas are available for visitors to view. 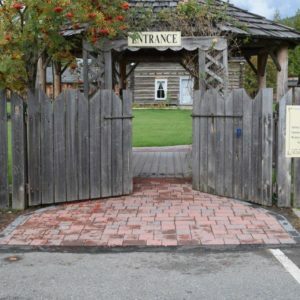 Parking is available at a asphalt lot adjacent to the picnic area. The parking stalls are non defined and there are no designated accessible spaces.